Skydive Hawaii - Jumping Over the Pacific! Home / Skydive Hawaii – Jumping Over the Pacific! Skydiving in Hawaii is a popular activity for both tourists and locals. The Hawaiian islands include a number of skydiving Dropzones. The official website of the Skydive Hawaii, operating in Oahu, claims to be the largest skydiving company in the state. However, Pacific Skydiving Hawaii also provides skydiving services over Oahu while Skydive Kauai serves the Kauai Island. Most of the skydiving companies accept walk-ins and the morning time remains busier than evening. However, prior reservations are the best option for ensuring that you can get service at the time and day of your choice. For the beginners, Tandem is the best and most popular jump for skydiving Hawaii. You may want to do some more homework and research the basic procedures that are involved with this type of jump if you are not familiar with tandem skydiving. We recommend reading our article on Parachute Jump types. Click Here to Check for Hawaii Skydiving Discounts up to 90% off! For Tandem skydiving, you will be acquainted with skydiving through a 10-15 minute basic instruction, preparing you to experience a tandem jump. On the next step, you will be flown over the drop zone by plane and then attached to your instructor with a harness before the jump. During the whole jump you will remain attached safely to your instructor. By skydiving tandem, you will be able to enjoy the entire skydive with minimal training and safety of an experienced instructor behind you with 100s if not 1000s jumps skydiving over Hawaii. During the free fall, you will descend at the speed of 130 mph, experiencing a totally different excitement from bungee jumping. While skydiving Hawaii you might even get to jump over the ocean (don’t worry you won’t land in the water!) Depending on the altitude of the drop, your instructor will pull the ripcord after around one minute of freefall and you will feel a slight pressure as the parachute opens and the speed is decreased. Once the parachute is opened, you will elegantly glide down for about seven minutes to reach the ground. The Hawaii skydiving drop zones offer the distinct advantage of warm pacific weather and stunning scenery. The warm weather can allow you to dress as comfortably as you like and make your skydiving experience more exciting with the great view of the Pacific islands. As for reaching the ground, your instructor will be guiding the parachute to your landing zone. For Skydiving in Hawaii and the United States as a whole, jumpers must legally be 18 years old on the day of the jump. Skydivers are not allowed to participate in training or jumping if they are found intoxicated at the time of their skydive. You are also not allowed to bring your own cameras during the jump (for safety reasons). Weight restrictions vary according to the service providers and vary around 200 to 250 lbs maximum. Some companies might charge extra for people who weigh above these numbers. You should inquire with the skydiving operators for more information regarding weight restrictions and any other possible health concerns. As a group of Pacific islands, Hawaii has a unique climate from the United States mainland. 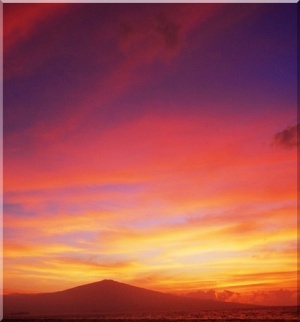 With its volcanic formations, scenic beauty and tropical flora, it is truly considered as the paradise of the Pacific. The air sports of Hawaii skydiving, paragliding, gliding and more, provide an exciting experience along with the natural beauty for both veterans and first timers. The weather of the Hawaiian Islands is tropical with some humidity. The average temperature during the coldest month of January is 73 degrees Fahrenheit, and the summer temperature of July hangs at about 81 degrees Fahrenheit. This pleasant weather allows skydiving year round and the jumpers to wear casual outfits as long as they are properly fitted clothes that can be securely fastened. When you are skydiving in Hawaii, you can choose from a number of location options such as viewing Diamond Head, the Pacific, Pearl Harbor, volcanic formations, canyons, and countless beach views during the free fall and parachute decent. 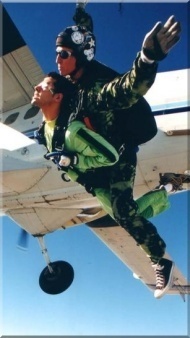 If you wish to see something special while you skydive Hawaii, you can consult with the service provider or instructor. Skydiving in Hawaii has great views, experienced and courteous professionals, and is an awesome experience that you will never forget.